Mobile data analytics company Informate Mobile Intelligence Pvt. 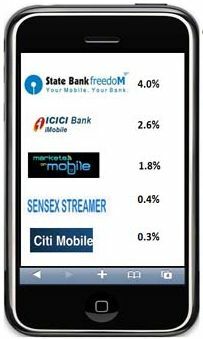 Ltd. has listed out top mobile banking and trading apps by reach with public sector bank SBI leading the fray. Amongst the flux of mobile payment apps, NGPay topped the list. Google Maps has overtaken its search apps to become the top application. The list of apps is on a base of users who have ever used any app in the month of January 2011. Note that the study is only indicative. For more on the methodology, read SmartMobi.in. SBI's Freedom app tops the list of the banking applications with the highest reach on mobile. The other popular banking apps are ICICI Bank iMobile and Axis Mobile. Online trading apps such as Markets on Mobile and Sensex Streamer follow. 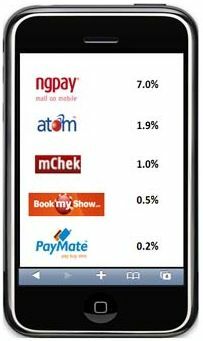 In the mobile payment app genre Ngpay topped the list, followed by Atom, MChek, Bookmyshow and Paymate. 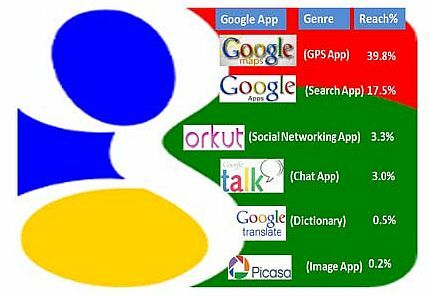 Google Maps being the most reached Google property on mobile, followed by Google Apps (search), Orkut, GTalk, Google Translate and Picasa.